It was just another Friday when I was travelling from Ankara to İstanbul again for another İKSV Jazz Festival concert. This time, I left my office to experience the highly reputed live performance of my favourite singer Melody Gardot. She impresses me deeply with her incredible technique, magic voice and wonderful compositions for a long time. I think on July 5th it was the first time that İstanbul Culture and Art Foundation held a concert in gardens of German Embassy in Tarabya. The stage was implemented just after the entrance from the sea. The audience could see the sea just behind the stage while sitting in the gardens and watching wonderful buildings around. The attention and attendance to the concert was high. The audience, some of whom were sitting while others were standing, listened to Melody Gardot in a windy and a moist night of İstanbul. The entrance of the concert was made by wonderful instrumentalists as it should be in similar qualified vocalist's concerts. Irwin Hall on flute, saxophone and clarinet, Mitchell Long on guitar, Chuck Staab on drums and Aidan Carroll on bass... Frankly, I have not known about them before the concert and after searching for these good musicians, I learned that they are all stand-alone qualified ones in their own projects. After the improvisational and energetic introduction made by this quartet, Melody came to the stage and sit on to play the piano accompanied by applauses from the audience. The performance has surprisingly turned out to the Rain from the second and the most important album of Melody, My One and Only Thrill. The groovy and modern approach of the drummer Chuck Staab was impressive in this performance. I am attracted by the well designed sound system started from the first minute I heard Melody's vocal even if there was the wind. Melody's vocal was as intense and touching as it was at studio records and I think many people were deeply affected by this pure voice. The wind barrier that is made for the saxophone was a proof of how carefully the sound system is handled. Two pieces Goodbye and Mira, from the album Absence, which are intensively impressed by Brasilian music, were played later on. We have listened to the Goodbye also in a different arrangement. Melody made a small talk after the performance Mira. The following piece was Cesaira Evora's wonderful composition Saudade and it was another important performance of the concert. After that Melody told us about her first, interesting and magic day in France. The transference of this magic to us was accomplished when Melody Gardot has left the stage to Irwin Hall's solo performance after making everyone close their eyes. Especially then, I have felt that we were experiencing an extraordinary performance designed excellently with its style of address and fiction. Irwin Hall has played tenor and alto at the same time for a while. After that, among most important pieces of the second album, Les Etoiles (The Stars), Baby I'm a Fool, Who Will Comfort Me and So We Meet Again My Heartache from the album Absence are performed in very similar arrangements to album versions. We also listened to Melody's guitar playing meanwhile. During intervals between pieces we listened to wonderful quotes from Melody Gardot about music and life. Considering her emotional contact with the audience and her artistic posture in front of the microphone I think she is an extraordinary jazz singer. The excitement has risen to the highest state after Melody has obtained permission from The Ambassador for the audience to come to the green area just in front of the stage to dance. After this last performance and an intense ovation, Melody has performed in the encore with a new composition from the next album, Preacher Man, whose main theme is the bad slavery period in American History. After having talked with this wonderful musician after the concert I can tell you that she is as modest and sincere behind the stage as she has been seen while performing. She has thrown herself easily into the crowd to sign autographs on albums. I feel myself very lucky that I could find the chance to listen to Melody Gardot in such a wonderful place in İstanbul. sorry for my late reply, I have really no idea for the following schedule, have you checked her website? 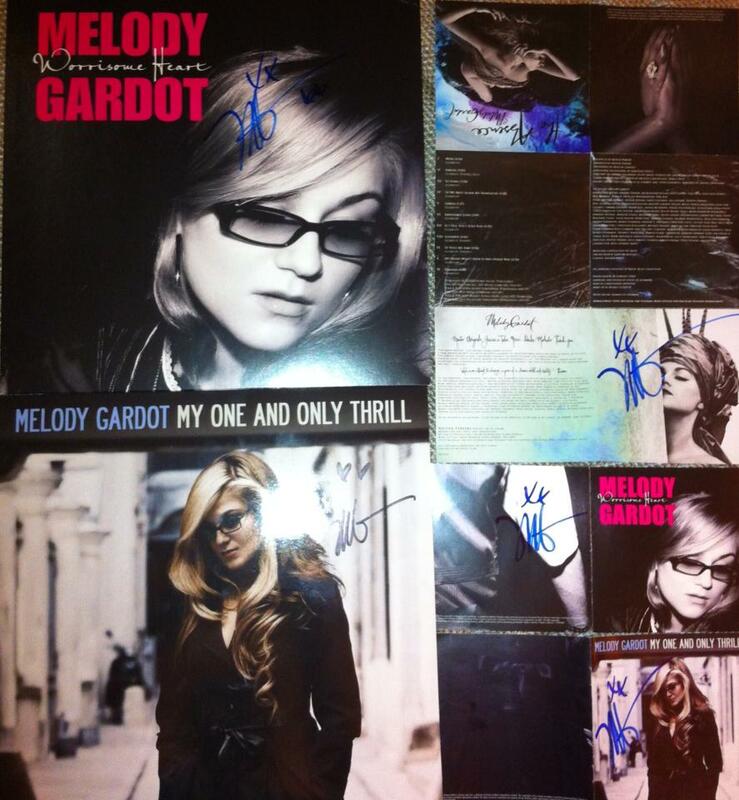 Melody Gardot is fannnntastic! Question for you, does the Jazz festival happen the same time every year in Istanbul, or does it vary? Thanks for your comment. 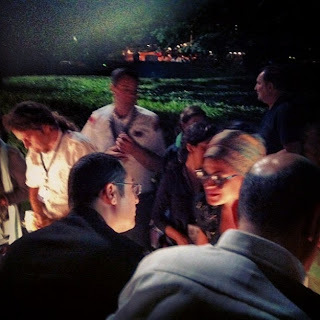 For jazz festivals in İstanbul; the one that Melody Gardot concert has held in is called İKSV Jazz Festival and it is generally starts with beginning of July and continues for about a month. There is also another important jazz festival in İstanbul called Akbank Jazz Festival. It generally starts around last week of September and continues till mid-October.